Multi functional sensor for LED under cabinet lighting. 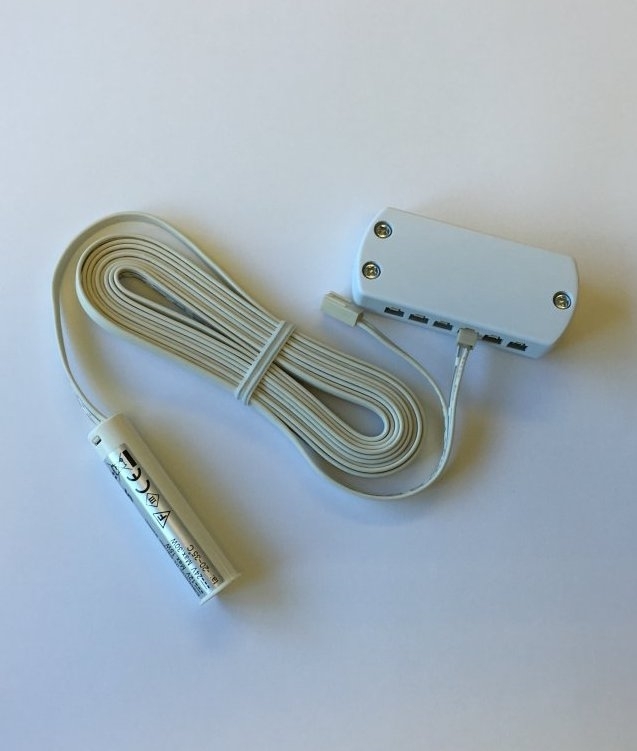 This clever gadget has two functions allowing it to be installed either inside a cabinet or just underneath to provide energy saving LED lighting. To set the way that you want your sensor to work is simple. 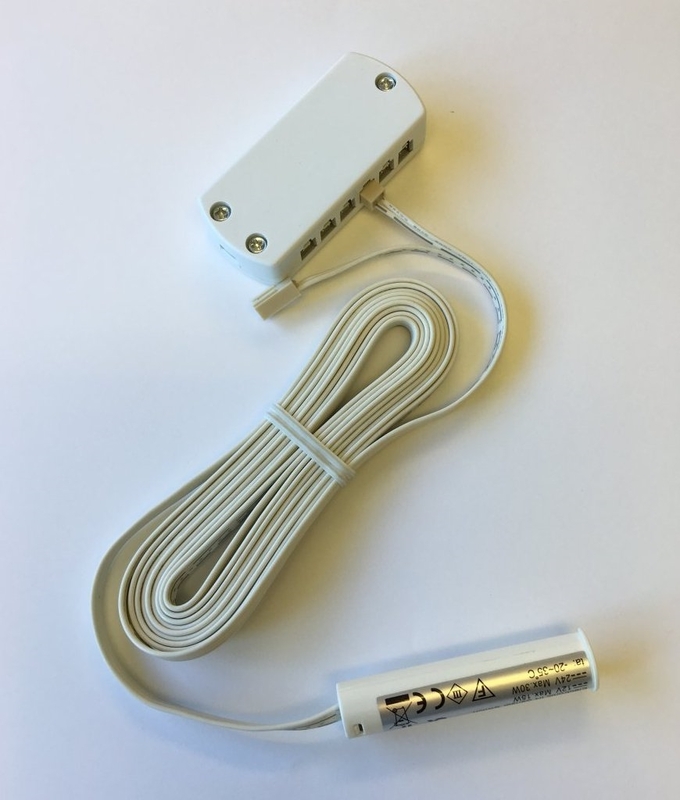 All that is required is to connect the sensor to your power supply and by using a screwdriver press the small button on the sensor to switch from door operated to hand operated. When mounted inside the cabinet opening and closing the door will turn your connected lights on and off. This allows you to see into the very back of the cupboard and not miss those potentially out of date items! When mounted on the outside of the cupboard the sensor will pick up movement. Move your hand to turn the lights on and move again to turn off. Has a detection range of 100mm although we recommend 50mm. Easy to install. 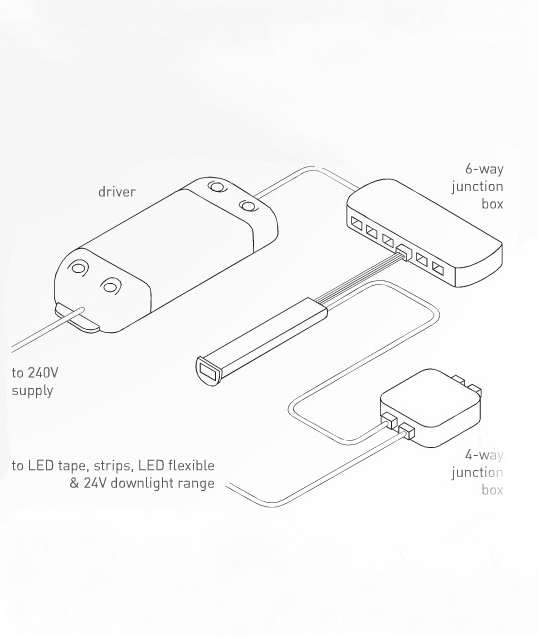 Simply connect the sensor into one of your top ports on your driver and your fittings into the top ports that are supplied with the sensor. Please see last picture for diagram of installation and information. Maximum load of 30w. When used with a 30w driver this allows you to have 15 lights. Additional JP port box would be required if you were planning on having all 15 fittings. Please call the technical team on 01780 767617 if you require further advice on installation.